It gives me immense pleasure in welcoming you all to this 29th Annual General Meeting of the members of Arshiya Limited. I am extremely delighted to see all of you here after almost a year. On behalf of the Board of Directors, I thank you all for your kind presence with us today. The Notice of this Annual General Meeting and Annual Report for the year 2009-10 has been distributed. In the interest of your time, and with your kind permission, I shall proceed to take them as read. Dear Members, the year 2009-10 has been extremely eventful for Arshiya. I am pleased to report that your Company continues to demonstrate the robustness of its business model with a healthy annual performance for the year 2009-10. At the outset, let me take you through with some of the important developments for the year ended 31st March 2010. The year 2009-10 has been an extremely exciting one for Arshiya with its core business adding momentum. Arshiya has seen a gradual and steady increase of revenue contribution from other divisions over the last 12 months. As compared to FY09, Rail Infrastructure and Supply Chain Management divisions have shown considerable increase in revenue share in FY10. Despite the difficult economic conditions world over, the Company has performed remarkably well registering consolidated revenues of Rs 521.19 crores as against Rs. 502.96 crores for FY09. Even with sharp drops in freight rates, Arshiya has been able to leverage the integrated services to grow volumes of our core businesses. Arshiya has negotiated the economic downturn successfully by securing full financial closure of Rs. 2,628 crore for the first phase of its FTWZs, Rail and Distripark projects. As the global economy recovered in 2009-10, from the downturn in previous year, India's logistics industry showed consistent growth. Arshiya Limited was able to leverage its integrated services and grow its volumes significantly. This year Arshiya also made significant progress in developing game changing logistics infrastructure across India. Since starting its operations in Feb 2009, Arshiya Rail Infrastructure added 10 rakes last financial year. Arshiya's Q1 FY11 consolidated Revenue stood at Rs. 177 Crores, up by 76 % over the corresponding periods of the previous year. EBITDA stood at Rs. 28 crores, an increase of 62% over the corresponding periods of the previous year. Similarly, PAT (including other income) stood at Rs. 16.5 crores, an increase of 40% over the corresponding periods of the previous year. Arshiya's rail subsidiary, Arshiya Rail Infrastructure, has also played an important role in registering of strong numbers in the first quarter of FY 2010-11, which operated with 12 trains and generated revenues of approximately Rs. 32 crores. It is a moment of pride for all of us that India's & Arshiya's first FTWZ in Mumbai has become operational since August 2010. 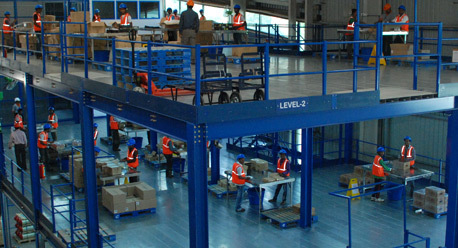 As part of Phase 1, three out of four warehouses are operational servicing our FTWZ customers. The entire zone is scheduled to be completed in the next 20 to 25 months. Each state-of-the-art warehouse is 13 meter high, with G+6 racking systems, super flat flooring, world class Material Handling Equipment(MHEs) and mezzanine floor for specialized high end products storage. Your Company's FTWZ will be a game changer for industries, helping them so save logistics and supply chain costs considerably, reduce working capital requirements and increase profitability. With the appointment of Mrs. Archana A Mittal as Joint Managing Director of Arshiya Limited, from her capacity as Whole-Time Director. Mr. V. Shivkumar and Mr. Sandesh Chonkar as Executive Directors of the Company. Mr. Ashutosh Varshney - Professor of Political Science at Brown University, he has served on the former UN's Millennium Task Force on Poverty & Foreign Relations. He is a consultant to the World Bank, and has also been a consultant to the United Nations Development Program. 5 FTWZs - Rail Connected, Planned Pan-India Mumbai (operational since August 2010), Khurja, UP operational by April, 2011 and Nagpur operational by October, 2011, South & East of India. 5 Domestic Distriparks - Planned Pan-India, Complimenting the FTWZ Network First of the Domestic Distriparks (in Khurja near Delhi) will be operational by April 2011. The FTWZ regulatory framework will give India the much needed impetus to drive its economic growth to the next level, while truly leveraging the nation's vast domestic market and purchasing power parity. Over the last few decades India has been losing investments to neighboring economies, which were being used by global corporations as bases for feeding India, because of non-availability of similar infrastructure in India. India will emerge as a major economic hub for companies either Importing, Exporting or doing Value Addition to its products, for selling in India or to other regional countries. 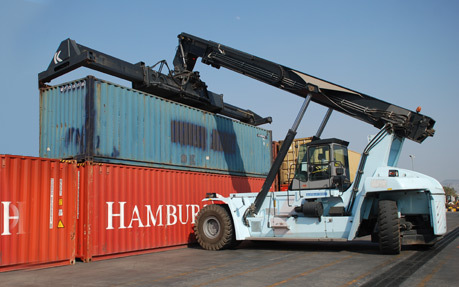 Broaden the scope of India's economy from its present Manufacturing & Service-centric model, to include Trading, Warehousing, Value Additions & Consolidations, thus opening the market for more investments which were directed to neighboring Asian and Middle East economies, due to lack of infrastructure setup in India. Boost India's exports, as more companies will be able to stock, source and make products closer to their suppliers based in India, driving cost savings and thus competitiveness, resulting in more investments. Each zone will directly employ in excess of 5,000 people and will indirectly create employment for over 10,000 people in terms of development of surrounding economy, and facilitating the growth of support services industry. The Indian freight transport system currently carries approximately 2.8 billion MT, of which the road transport system has 60-65%, rail 30-32% and coastal shipping 6-7% market share. Arshiya Rail plans to capitalize on the untapped domestic opportunity by partnering with the Indian Railways in increasing market share for rail in the Indian freight transportation system. With demand expected to grow considerably over the next decade, it is imperative for India to realize the true potential of rail and increase its market share in order to bring the required efficiency in India's hinterland transportation. In FY10, since just incepting its rail operations, Arshiya Rail Infrastructure has successfully added 10 trains in FY10 and executed long term contracts with marquee customers by being able to provide a unique Rail solution coupled with end-to-end logistics capability. Arshiya's overall strategy in rail remains one governed by economies of scale and on the following guiding principles enabling it to be the only profitable private container rail operator in India today. Arshiya actively focuses on creating an organization which nurtures continuous improvements in management practices. Due to the fragmented nature of this industry, Arshiya acknowledges and understands substantial challenges in attracting young and seasoned professionals. We recognize the need of this industry to attract best-in-class talents from other industries. At Arshiya, we aim to recruit developing talent across leading management colleges, universities and enroll them as management trainees across various functions, thus giving them a platform to acquire the necessary skill sets required to excel. Arshiya has recently hired 64 management trainees from 23 top educational institutions across India in a campus recruitment exercise. These trainees are a part of a leadership development program designed to scale Arshiya's operations. Our talent pool also includes international students enrolled for our 'Internship Program', who work with our various divisions on live projects. We rely on a rigorous selection process involving a series of aptitude tests and interviews to identify the best resource. The selection process is continuously assessed and improved. Arshiya was conferred with the "Employer of the Year" award by Indira Group of Institutes, Pune for creating employment for the youth. Arshiya has presently initiated an aggressive communication campaign pan-India, Singapore, Dubai & US, across leading news & financial dailies & magazines to announce the launch of your Company's first FTWZ. In all 23 leading publications across geographies were selected to communicate our unique logistics infrastructure solutions. The objective is to associate your Company as the thought leader in logistics and supply chain space. It is all about integrating social good into business good. While delighting our customers and rewarding the investors are very important, these need to be delivered with a larger benefit to the society as well. Your Company is committed to meeting its social responsibility for the ultimate benefit of the community. As the Company's social responsibility towards the society, "Arshiya Cares", the CSR arm of the Company has pledged to join hands with organizations who are working towards finding simple solutions to the infrastructure problems that India faces. As a step towards this direction, your Company has joined hands with Empowering Villages Everywhere (EVE), a noble project that essentially aims to provide solar lamps to poor people who are remotely placed in villages with no electricity. Your Company is also committed to provide employment opportunities to people depending on the skill sets who have sold their lands for the establishment of the Company's first FTWZ in Sai Village, Panvel, in Maharashtra. With the launch of India's first FTWZ, Arshiya will not only increase profitability and induce cost savings for our customers, but will also serve as a game changer in the Indian logistics landscape. 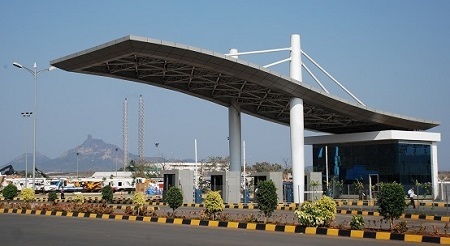 The FTWZ develops a whole new dimension in our ability to provide integration, flexibility and savings for our global and Indian customers, and we are especially excited about the opportunities to make India a regional storage and value-addition hub. A major contributor to high costs stems from the lack of infrastructure investments into the logistics space within India. Arshiya's FTWZ announcement highlights a landmark beginning within the Logistics Sector that is expected to improve efficiency and lower costs for Arshiya's customers. Arshiya's five FTWZ footprint will be part of a larger Rs. 7,000 crore integrated infrastructure plan including the creation of five strategically located domestic Distriparks and a 75-train pan-India Rail Infrastructure charter - all on an existing ten-year freight forwarding, supply chain & IT solution legacy making Arshiya India's first and only truly integrated logistics company. Our ability to scale our rail infrastructure operations to 13 rakes till date in just over a year of operations proved that there is need for integrating infrastructure solutions with logistics offerings in the rail space. In conclusion, I would like to reiterate that Arshiya's growth has occurred within a challenging economic climate. Your Company has demonstrated leadership, remained disciplined in execution and faced a volatile market with a positive 'there's a way' attitude. We will remain focused on competitive, profitable and sustainable growth. We strive to achieve this by upholding the highest levels of Corporate Integrity. Arshiya continues to be an engine of growth because of its proven ability to innovate and reinvent its approach to a dynamic business. Your Company is positioned to collaborate, learn, and critically evaluate all that it does to demonstrate the leadership it is known for. Thanks to the employees, the shareholders and the community at large, the future holds new promise for Arshiya as a top integrated supply chain and logistics infrastructure solutions company, globally positioned to make large scale changes in the way business is done. I thank you all for your constant support and goodwill for Arshiya. I am sure this will continue in the years ahead.